In the past the Internal Revenue Service (IRS) had been unclear as to the deductibility of insurance premiums when paid by the parent of the captive insurance company. The area that needed the most clarification was the deductibility for the single-parent captive, where one company owns the entity that insures it. Adding to the challenge is that there is not a statutory definition of the word “insurance” in the IRS tax code. More recently, however, there have been several Revenue Rulings issued to give more certainty to the issues. The IRS issued a ruling on July 5, 2005 (Rev. Rul. 2005-40) which has clarified the issue of deductibility. It points out four specific instances where, under current opinion, premium deductions are allowed. In short, a corporation can establish a subsidiary company to insure the parent company. Premiums are paid by the parent company to the subsidiary. (A subsidiary is an entity that is fully owned by its parent entity, such as one corporation owning another.) When the proper conditions are met, the first $2.2 million in premium income per year is considered tax-free to the subsidiary. In other words, the premiums are considered tax-deductible to the parent company and tax-free to the subsidiary. There have been a number of cases and revenue rulings over a period of several years that have supported these two fundamentals. In 2001 the IRS deserted the “economic family theory” they attempted to assert with Rev. Rul. 77-316. In this ruling they stated that since the subsidiary insurance company is a member of the same economic group the parent company should not be able to deduct the premiums paid to an insurance company that it owns. However, as a result of losing case after case, they put fourth Rev. Rul. 2001-31 which announced that they would not challenge the validity of the captive insurance company as a legitimate insurance concern for the purposes of federal income tax. Rev. Rul. 2005-40 emphasized that risk distribution is as important as risk shifting. It gives four situations where the issuer qualifies as an insurance company for federal tax deductibility purposes. Though the examples are using domestic and non-related companies, keep in mind that the properly structured offshore captive insurance company is considered a domestic insurance company for tax purposes. Additionally, this ruling is to point out the importance of risk distribution and not the relationship of the insured company to the insurance provider. ABC Transport, a domestic corporation, operates a courier transport business covering a large portion of the United States. ABC Transport owns and operates a large fleet of automotive vehicles representing a significant volume of independent, homogeneous risks. For valid, non-tax business purposes, ABC Transport entered into an arrangement with XYZ Insurance, an unrelated corporation, whereby in exchange for an agreed amount of “premiums,” XYZ Insurance “insures” ABC Transport against the risk of loss arising out of the operation of its fleet in the conduct of its courier business. The facts are the same as in Situation 1 except that, in addition to its arrangement with ABC Transport, XYZ Insurance enters into an arrangement with Blue Transport a domestic corporation unrelated to ABC Transport or XYZ Insurance, whereby in exchange for an agreed amount of “premiums,” XYZ Insurance also “insures” Blue Transport against the risk of loss arising out of the operation of its own fleet in connection with the conduct of a courier business substantially similar to that of ABC Transport. The amounts XYZ Insurance earns from its arrangements with Blue Transport constitute 10% of XYZ Insurance’s total amounts earned during the taxable year on both a gross and net basis. The arrangement with Blue Transport accounts for 10% of the total risks borne by XYZ Insurance. ABC Transport, a domestic corporation, operates a courier transport business covering a large portion of the United States. ABC Transport conducts the courier transport business through 12 limited liability companies (LLCs) of which it is the single member. The LLCs are disregarded as entities separate from ABC Transport under the provisions of § 301.7701-3 of the Procedure and Administration Regulations. The LLCs own and operate a large fleet of automotive vehicles, collectively representing a significant volume of independent, homogeneous risks. For valid, non-tax business purposes, the LLCs entered into arrangements with XYZ Insurance, an unrelated domestic corporation, whereby in exchange for an agreed amount of “premiums,” XYZ Insurance “insures” the LLCs against the risk of loss arising out of the operation of the fleet in the conduct of their courier business. None of the LLCs account for less than 5%, or more than 15%, of the total risk assumed by XYZ Insurance under the agreements. The amount of “premiums” under the arrangement is determined at arm’s length according to customary insurance industry rating formulas. XYZ Insurance possesses adequate capital to fulfill its obligations to the LLCs under the agreement, and in all respects operates in accordance with the licensing and other requirements as required by law. There are no guarantees of any kind in favor of XYZ Insurance with respect to the agreements, nor are any of the “premiums” paid by the LLCs to XYZ Insurance in turn loaned back to ABC Transport or to the LLCs. No LLC has any obligation to pay XYZ Insurance additional premiums if that LLCs actual losses during the arrangement exceed the “premiums” paid by that LLC. No LLC will be entitled to a refund of “premiums” paid if that LLCs actual losses are lower than the “premiums” paid during any period. XYZ Insurance retains the risks that it assumes under the agreement. In all respects, the parties conduct themselves consistent with the standards applicable to an insurance arrangement between unrelated parties, except that XYZ Insurance does not “insure” any entity other than the LLCs. The facts are the same as in Situation 3, except that each of the 12 LLCs elects pursuant to § 301.7701-3(a) to be classified as corporations for federal income tax purposes. Of the four situations, all of them meet the risk shifting requirements in order to be considered “insurance.” However only number four had ample risk distribution to meet the legal definition of “insurance” from a federal taxation standpoint. 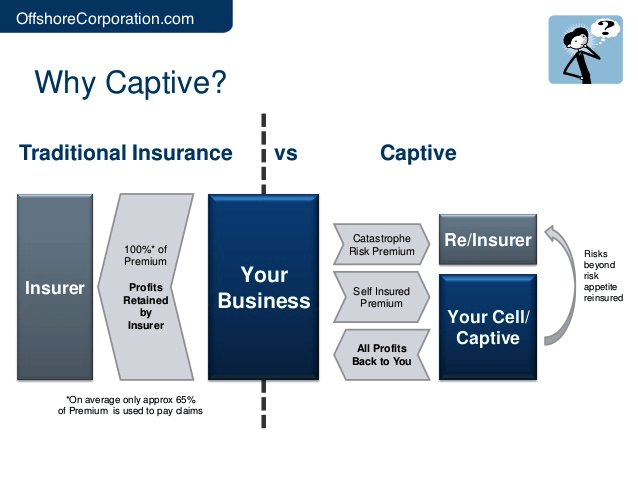 Therefore, the LLCs would be able to deduct the premiums paid to the captive insurance company. The two conclusions explain that (1) in order for an arrangement to qualify as insurance, both risk shifting and risk distribution must be present, and (2) the risk distribution requirement is not satisfied if the issuer of an “insurance” contract enters into such a contract with only one policyholder. In situation 1, the contract was with only one policyholder therefore does not meet the legal definition of insurance. The risk is not distributed among other insured parties or policyholders. Therefore, no risk distribution has taken place. In situation 2, Blue Transport represented only 10% of the total amounts earned and only 10% of the risk. Therefore, there is not a sufficient pool created in order to absorb the 90% risk borne by the captive insurance company for ABC Transport. In situation 3, the LLCs are disregarded as separate entities from their parent company for tax purposes (pursuant to § 301.7701-3). They are treated as sole proprietorships. For tax purposes they do not exist as separate from their owner. Profits made by an entity that is not separate from its owner for tax purposes are treated as if the owner had earned the profit itself. The earnings of the disregarded entity and the earnings of the owner of the disregarded entity are one-in-the-same for tax purposes. Since the 12 LLCs are not separate for tax purposes, the IRS sees the arrangement as one company insuring one company. Therefore, if all of the LLCs have the same owner it is, for tax purposes, the same as situation 1. In situation 4, the 12 LLCs are taxed as corporations (or “associations”) separately from their owners. Therefore, from a tax perspective, it is one company insuring 12 companies, which constitutes sufficient distribution of risk. Therefore the “risk distribution” rule is met. Plus, since the liability burden of one or more of the 12 LLCs is borne by the insurer, “risk shifting” is also considered to have taken place. 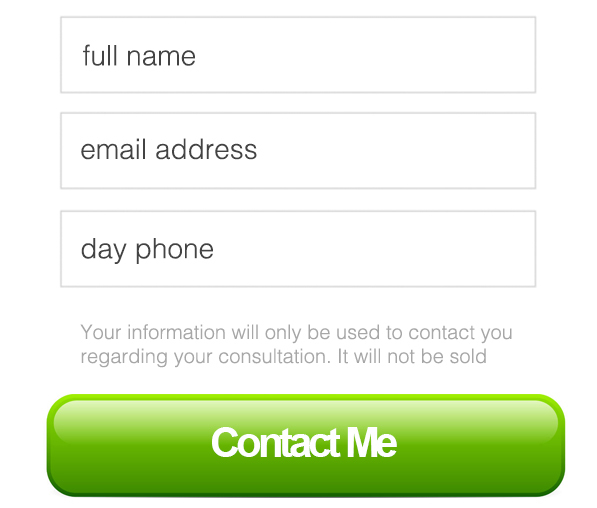 The short answer is the use the number or form on this page. The long answer is that there is an application that is completed and signed and submitted to the appropriate government agency where the insurance license is being sought. There are know-your-client (KYC) requirements in order to meet local and international legal obligations. For example, the initial director(s) need to provide a notarized photocopy of a passport that is authenticated as a true copy of the original. Most jurisdictions require a bank and/or professional reference letter. You will be asked to provide an original utility bill for your residence to show proof of address. These are standard items used to both comply with anti-money laundering laws and to identify the true owner/director. There are setup costs that are paid and a captive insurance manager is obtained in order to comply with legal requirements. Professionals in the industry have been meeting this requirement by “risk pooling.” That is, several captive insurance companies can share a pool of risk with a certain relatively small percentage of premiums in order to achieve sufficient risk distribution. This is simply a contractual arrangement. The money stays in your company’s Swiss bank account, for example, and you remain the signer on the account. This minor risk can, if one wishes, be insured by a reinsurance company at very reasonable rates of approximately 1% of the at-risk amount. Notice 2005-49 asked for public comment to have been submitted to the IRS by October 3, 2005. It asked for public comment on (1) the factors to be taken into account in determining whether a cell captive arrangement constitutes insurance and, if so, the mechanics of any applicable federal tax elections. It also asked for comments on (2) circumstances under which the qualification of an arrangement between related parties as insurance may be affected by a loan back of amounts paid as “premiums.” Next, it asked for input on (3) the relevance of homogeneity in determining whether risks are adequately distributed for an arrangement to qualify as insurance. Finally, it sought feedback from the public on (4) federal income tax issues raised by transactions involving finite risk. Rev. Rul. 2005-40 did not provide substantially new information. Back as far as 1941 the court concluded that both risk distribution and risk transfer are necessary in order for an arrangement to be considered insurance for tax purposes. So, the 2005-40 ruling simply clarified the IRS’s stances. It also underlined the significance of risk distribution. The importance of risk transfer had already been clarified in several previous rulings. So, the deductibility of premiums for the captive insurance company remains viable as long as the legal conditions are met. Plus, the captive has successfully been able to collect premiums up to $1.2 million on a tax free basis. 1 – The risk transferred must be risk of economic loss. Allied Fidelity Corp. v. Commissioner, 572 F.2d 1190, 1193 (7th Cir. ), cert. denied, 439 U.S. 835 (1978). The risk must contemplate the fortuitous occurrence of a stated contingency, Commissioner v. Treganowan, 183 F.2d 288, 290-91 (2d Cir. ), cert. denied, 340 U.S. 853 (1950), and must not be merely an investment or business risk. Le Gierse, at 542; Rev. Rul. 89-96, 1989-2 C.B. 114. 2 – Risk shifting occurs if a person facing the possibility of an economic loss transfers some or all of the financial consequences of the potential loss to the insurer, such that a loss by the insured does not affect the insured because the loss is offset by a payment from the insurer. Risk distribution incorporates the statistical phenomenon known as the law of large numbers. Distributing risk allows the insurer to reduce the possibility that a single costly claim will exceed the amount taken in as premiums and set aside for the payment of such a claim. By assuming numerous relatively small, independent risks that occur randomly over time, the insurer smoothes out losses to match more closely its receipt of premiums. Clougherty Packing Co. v. Commissioner, 811 F.2d 1297, 1300 (9th Cir. 1987).